Home / tricks / vodafone / Get 1GB 3G Night Data In Vodafone At Only At Rs. 17 Instead OF 78. 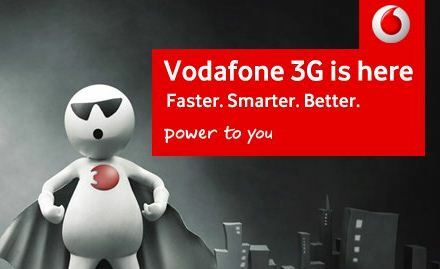 Get 1GB 3G Night Data In Vodafone At Only At Rs. 17 Instead OF 78. Recently I have posted a trick to get 2GB 3G data for one night and 1GB 3G data for 28 days at Rs. 95 with the help of my brother kemi. Today I am posting a latest trick in vodafone to activate 1GB 3G night pack data at rs. 17 instead of 78. Many of my friends telling me that you are not posting any good trick in vodafone.So with my hard work and kemi's hint. I found out a latest trick. 1.Subscribe rs. 8 night data pack for 1GB 2G data by dialling *444*444#. Note:- Subscribe your pack 3G pack after 12:AM. 5.You will get 3G speed whole night. Note:- This trick in 100% working in M.P. Just give a try in your state. Precaution:- 1.Don't. Disconnect your data in between the whole 1GB data pack gets over otherwise you will get 2G speed. 2.Network mode should be 3G or WCDMA only. 3.Rs 9 3G pack is available only in some states. You can subscribe with the smallest 3G pack available in your state.